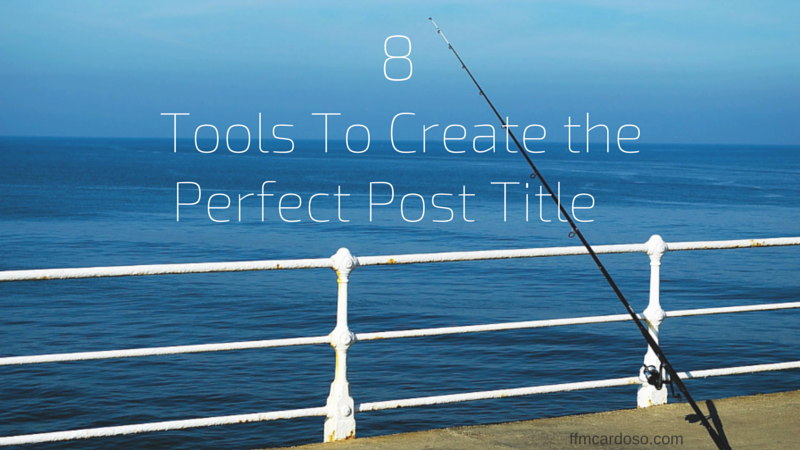 The title of your post needs to be almost perfect in order that you can have a chance to compete with the tons of articles out there. So, how do you create the best title possible? There are a few tricks that are useful to know and should be mastered. 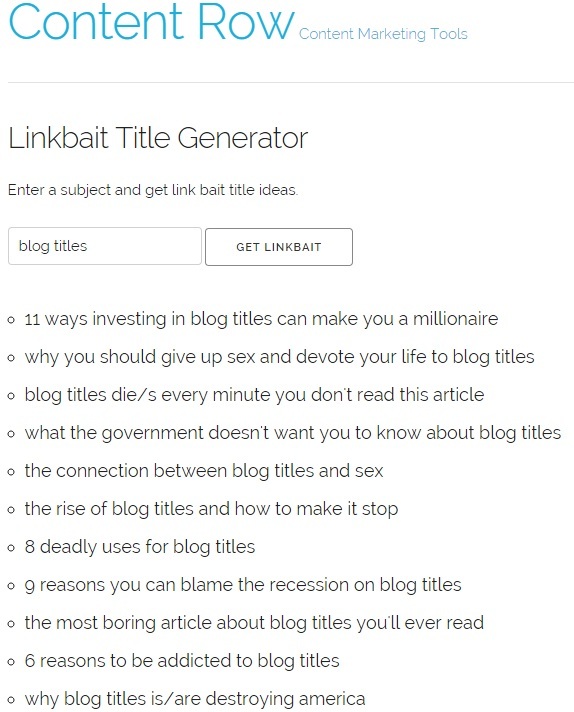 Here are a a few tips for your next Blog title. However, besides these tips there are some tools that can help to choose your words for your titles, these list has some of the tools that I have used or use to help me out on my titles. The first on my list is not actually a tool but it´s the resource that I use the most. I came across with this list when I read the book from Guy Kawasaki and Peg Fitzpatrick, The Art of Social Media, but was originally posted by Twelveskip. 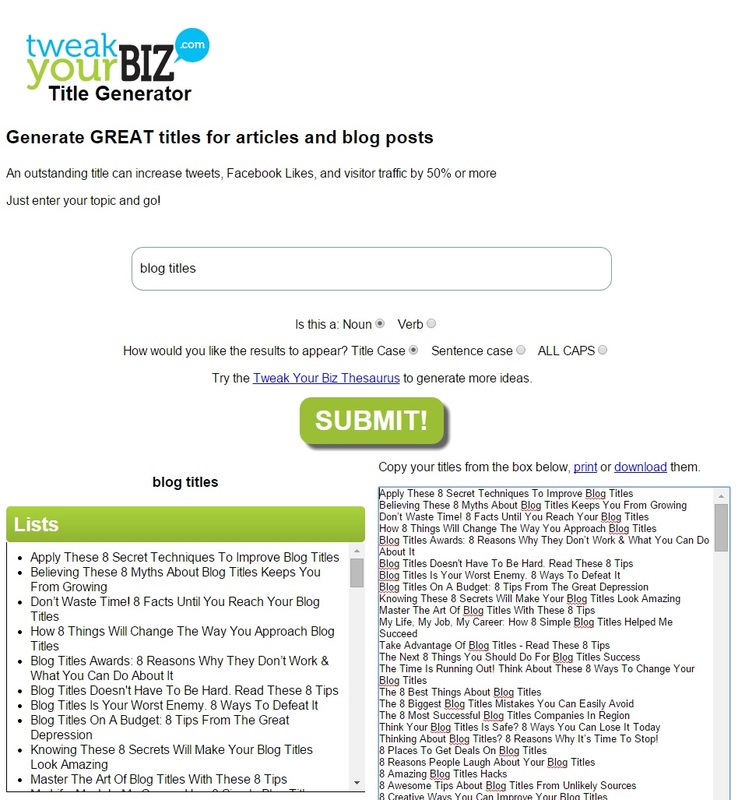 It has 74 fantastic blog titles and are extremely handy. Click on the image to see the full list. This was the tool that I first started to use, and I was introduced to it when I was a student at AulaCM. It´s a very easy to use tool and generates some crazy titles. Besides being good fun, can be very useful. 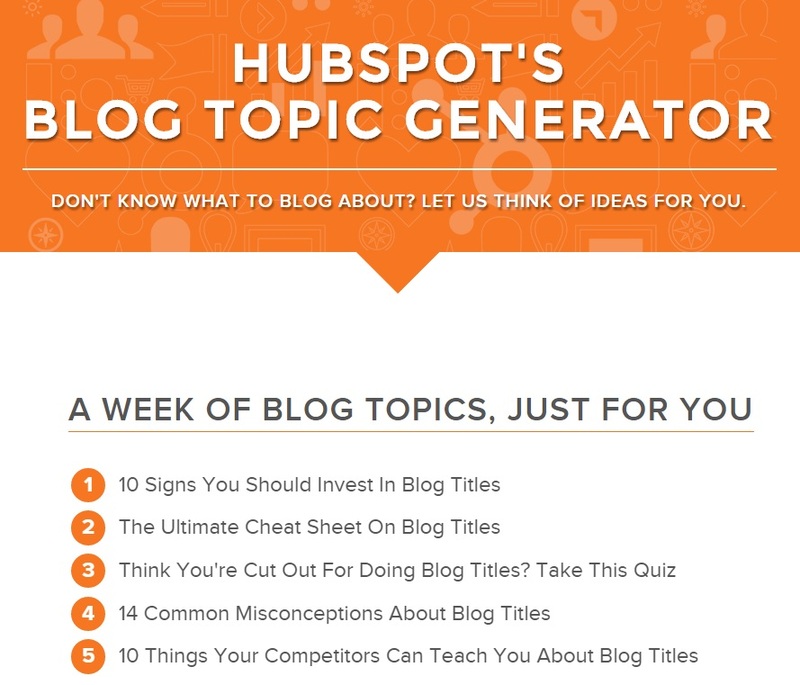 Another great tool by Hubspot, it´s impossible not to like what these guys do. Their tool to generate titles is more “professional” than the previous one, and their titles are more serious. Has also the great advantage to add three words to generate titles with. I really like the simple and clean looks of this tool and the title suggestions are very handy as well. 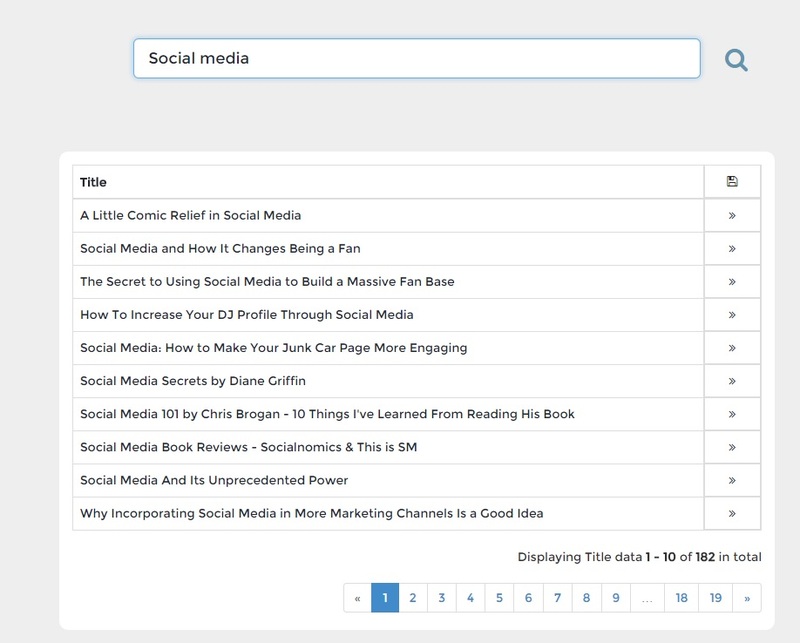 You first choose your topic and then it starts to suggest titles where you can then fill in the gaps to create your title. Don´t judge a book by it´s cover, they say. That can applies to this tool, the looks are not the best but the results are incredible. There are a ton out posts titles outputed to give you the best ideas for your posts. A must have. This is a very interesting tool from The Advanced Marketing Institute and is quite clever. 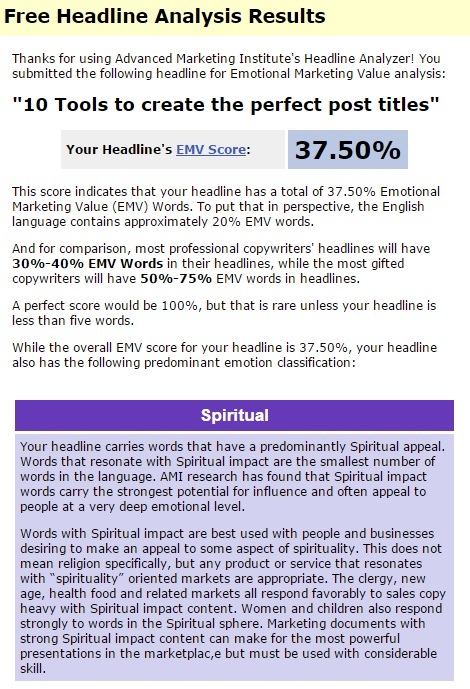 What it does is to analyse the words of your title and rate it based Emotional Marketing Value (EMV) Words. As more “emotional” it gets as better it is. This is another tool to create titles. It´s based on a “tabloid” concept, or link bait, which means that the titles you will get here are a bit sensationalist with the main purpose of getting “link baits”, or clicks. It has two other features: word count and hashtag scout. Worth it to give it a go. As you can see, there are quite a few tools to generate blog posts and you should at least try a couple since they are really helpful. 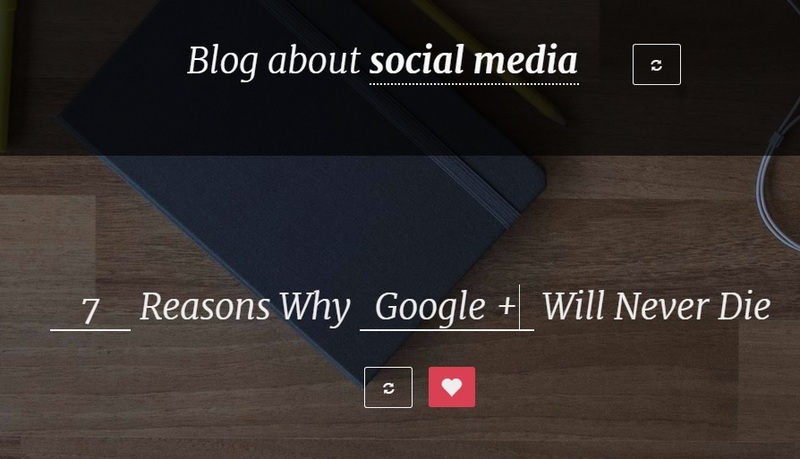 I think the titles are one of the most important parts of a blog post. Obviously you need to have good content, but considering the fact that your post will be shared on Social Media, it needs to have a good title in order to people to click on it. What do you think about blog titles? Do you agree with me? Do you have any other tool that you think it could be useful for this list? Muchas gracias amigo Claudio! Tus comentários son siempre una motivaticion extra. Me animas a escrebir! De nada! 🙂 Son muy buenas!